The world’s biggest watch exhibition may have closed its doors for another year, but at One To Watch we’re still talking about the biggest surprise of this year’s event – the dual release of new GMT models from both Rolex and its sister company Tudor. So, we asked David Duggan for his thoughts on why the GMT continues to make waves and what he makes of these new offerings. Rolex is known for making watches that appeal to specific audiences and the original GMT Master was no different. Featuring an extra hour hand and a 24-hour rotating bezel this timepiece was developed for Pan Am pilots after the American airline company asked for a watch that could tell the time in more than one time zone. The first model was released in 1954 and became an instant hit with pilots and travellers alike. More than half a century later it remains a firm favourite in the horological community, thanks to a combination of beautiful aesthetics and utter practicality. Rolex actually released three new references at Baselworld 2018: the GMT-Master II 126710 BLRO in stainless steel with the Pepsi bezel and a jubilee bracelet not seen on the model since its original debut; the 126711 CHNR in stainless steel and Rolex’s custom 18-carat Everose gold with a black and brown bezel; and the 126715 CHNR, in full 18-carat Everose gold. Each reference also features the new 3285 calibre Rolex movement. The self-winding new calibre both improves accuracy and extends the power reserve life to 70 hours compared to a previous 48. It also features Rolex’s Chronergy escapement, improving efficiency. There’s also the date cyclops for legibility, is waterproof to 100m and features the Easylink 5mm bracelet adjuster for those days when it just doesn’t fit quite right. Where the three models differ, though, is in their look. 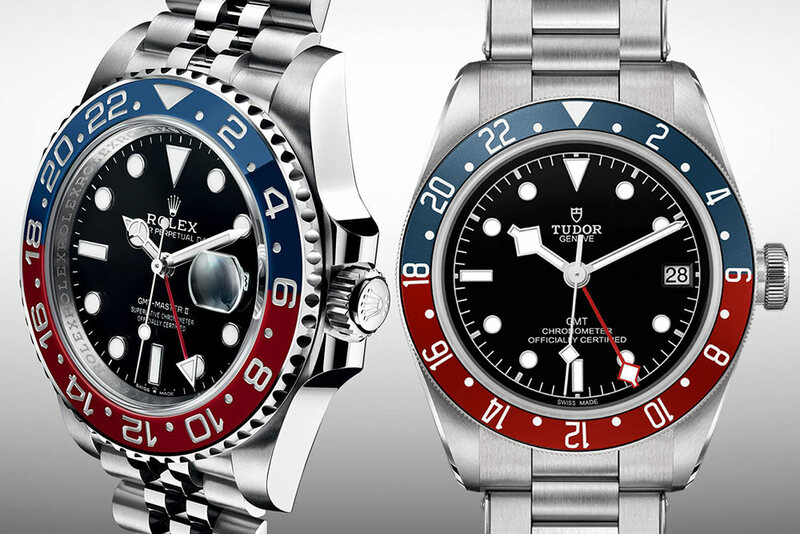 The GMT-Master II 126710 BLRO features one of Rolex’s most iconic features – the red and blue Pepsi bezel – and is an absolute stunner in my opinion. Meanwhile, the 126711 CHNR and 126715 CHNR feature a brand new black and brown bezel, giving the watch a vintage feel. I must admit, I’m not usually a fan of the steel and gold combination, but these are quite tempting.